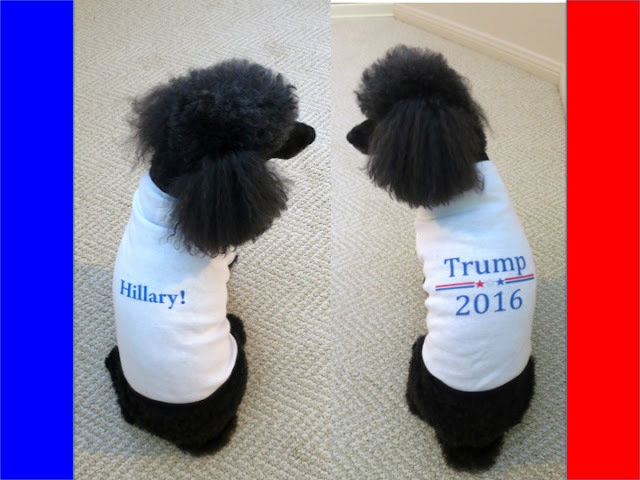 Paws Reports: Time to Vote ! It's finally here... Election Day. So it is time to decide... Hillary Clinton vs Donald Trump? Well I know who I would vote for if I was old enough. But I try not to be poodlelitical so I won't take a side on my blog. But I really hope everyone gets out there and uses their right to vote. My Mom says "Yes! Please VOTE!" She has been working hard for the campaign in Ohio and has been very busy! Now it's in the country's hands! Please VOTE!